Devon Ellington: What was the genesis of this book? Mike Robinson: Subconsciously, The Prince of Earth has been long in coming. I first read of the lore — or phenomenon — that inspired it when I was 13, and for years thereafter produced stillborn stories about this ‘Big Gray Man’ of the supposedly haunted peak Ben MacDui, located in the Scottish Highlands. The idea, whatever it might be, lay dormant throughout my early writing career, as I busied myself with other manuscripts. Then, not long after reading Cormac McCarthy’s Blood Meridian, I had an urge to create a very atmospheric story, with a downright creepy antagonist, something I’d never really had in any prior book. Like eddying mist, the legends of the Big Gray Man came wafting back into my head, and so thematically and location-wise I was set. I still had to figure out where I was going, however — and I’d do that by diving in and writing the book. DE: How did you choose which places to include? MR: Given the origin of the Big Gray Man legend, that portion of the book naturally had to be set in Scotland, whose lonely, misty highlands provide a fantastically eerie backdrop for surreal horror. Having been to similar areas in England and Wales, and having stood atop those wind-whipped peaks, I felt I could make it quite authentic, and visceral. The other featured locations, rural New York and Los Angeles, are also drawn from real-life familiarity. I’m actually from Los Angeles. DE: Where there any episodes you decided to delete? How did you make those decisions? MR: In editing a manuscript, necessary deletions for me have always made themselves starkly visible, especially after some time has passed. Anything that makes you shake your head at yourself has obviously gotta go. “This runs on way too long”, or “Wow, I can say this in one sentence in lieu of four”, or, sometimes even, “What the hell was I talking about?” In The Prince of Earth, I didn’t cut any specific episode as much as I cut extraneous passages. In all, I probably slashed a good chapter’s worth of material from the whole manuscript. It’s very cathartic to highlight that textual lard and strike “Delete”. Ah…so much cleaner. DE: Do you enjoy moving between short fiction and long fiction? Do you prefer one or the other? MR: I enjoy both, though I like the emotional investment of novels, and the high sense of accomplishment on completing a tangible draft: suddenly, this massive world of yours exists. My short stories tend to be high concept, or idea-based, while my novels are more psychological, more character-oriented. I’m grateful I don’t have Stephen King’s problem of wanting to turn every short story into a novel — with a single exception, when an idea hits me, I know whether it wants to be short or long. MR: I just finished the first draft of Book One of an admittedly ambitious science-fantasy called Knights Immortal, whose two books altogether span humanity’s prehistoric past and technological future. I’m also just beginning the early stages of collaboration with bestselling author Aiden James, on the third installment of his Talisman Chronicles. I have another novel, Negative Space, due out August 17th, also from Curiosity Quills Press. It’s probably one of the less-classifiable novels I’ve done. It’s a thriller, it’s philosophical, and it’s about modern art, among other things. But I love the interstitial stuff. The wilderness began only feet beyond Ballater. As soon as she reached the other side of the bridge, Quincy felt as though she’d entered some kind of portal. Something thrived out here, something she hadn’t felt before even during recent travels: an unseen, extra dimension to everything, time itself having become snared and congealed in this tight wood-web. She could feel it everywhere far and immediate, felt it beneath her soles, could taste its ancient flavor on the wind that chilled her skin. For several hundred yards, she followed the gray flow of the Dee until the flanking broadleaf and pine trees grew in numbers and gradually led her away from all sights and sounds of the river and Ballater. Soon, there were only the dark Caledonian branches scrawled against the wet sheet of clouds. There doesn’t seem to be anyone else out here. It’s reserved for you and for you only. The mist was bunched-up, a ghostly-gray impression of the foliage. Quincy increased her pace but made an effort to notice all this around her, this ancient eerie beauty she, for a long time, might not see again in person. Somewhere in her memory the Child knocked elbow and fist to be released, to play Hobbit, to play Knight, to engage The Quest. Almost an hour into the forest, the trail lost distinction though there was steady enough clearing to press on. To both sides the woods drew long and dense, cutting into slivers the pale light from the murky glaucoma sky. She wanted to leave the forest well behind her in time for her first night out in the Cairngorms. This wouldn’t be difficult, though it did extend farther than she expected. Quincy alighted on a large boulder, rested and took two gulps of water. Hunger squirmed deep within but she was still too keyed up, still too apprehensive, to eat. In the silence of these woods, the motion of anything else was downright loud, and she turned instantly at the hasty crackling approach of a large creature that had taken off at full speed. She watched the graceful cursive of this thing as it bounded through the trees, its blurred shadow-form a connective ribbon across the trunks. She thought there might be more but there was only one, and the lone deer stopped on the other edge of the haggard trail not fifty yards from her, trying to compose itself though fear persisted in its sad jeweled eyes and jittering muscles. Quincy turned again in the direction from which it’d come but there was nothing. Or the appearance of nothing—the trees were apt conspirators. She understood the phenomenon of panicking in the woods—the arresting terror of an unknown source—because it twitched in her now, as it had in the deer. And, of course, it wasn’t just the woods. Mountaineers, in open expanse, had known such a soul-deep paralysis. They were bad memories evolution had buried far but never thrown away, perhaps. Quincy slipped from the rock and the deer took off again, its sight lost long before its sounds. After the sounds died, Quincy’s loneliness grew, as did the stirrings of panic, but she kept focused as she pressed on. In time, the trees became fewer and fewer, giving way to larger quantities of mountain willow scrub and long whispering grass, the earth itself on marked ascent towards the further vast tundra of the naked highlands. Uphill for a stretch, the terrain eventually flattened some, and the valley extended before her in a great yawning bowl. The pass was a cold vast swath stretching into blue mists beyond which lay things ancient even to prehistory, and it was flanked by massive peaks sweeping up like a stone tide, an earthen wave parted to biblical proportions. Rocks dotted the ground between the yellow wind-slanted grass. The solitude was thrilling and terrifying. Currently he’s the managing editor of Literary Landscapes, the official magazine of the Greater Los Angeles Writers Society (glaws.org). 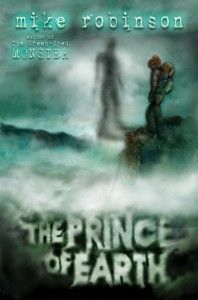 His supernatural mystery novel The Green-Eyed Monster was published in 2012 by Curiosity Quills Press, followed up by the newly-released horror novel, The Prince of Earth. 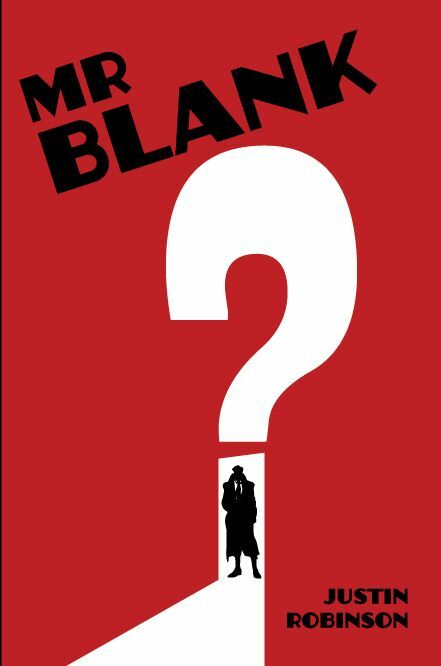 Author Justin Robinson joins us this week, talking about MR. BLANK. Devon Ellington: What was the inspiration for this book? Justin Robinson: There are eight insect parts allowed by law in each Reese’s peanut butter cup. I couldn’t help but wonder whose job it was to put them there. DE: How did you develop the ideas? JR: One of the great parts of conspiracy lore is that it requires ostensibly normal people to do bizarre things. I figured that someone had to do all that strange stuff, and then extrapolated that, hey, what if it’s all the same guy only no one knows that? And then what if someone tried to kill him? It’s a pretty quick leap in my head from any basic idea to a noir mystery. DE: Your protagonist has a strong, engaging voice. Did you ever find he wanted to take the story in a different direction than your original vision? How did you work that out? JR: I don’t really put much stock into characters having minds of their own. That reeks of undiagnosed schizophrenia to me. Seriously though, this is just about as close to my personal inner monologue as I’m ever likely to get in a book. DE: One of my favorite quotes from your liner notes is “If you’re going to do a conspiracy novel, you have to have 23 chapters. There’s really no other choice there.” What’s the story behind that? JR: 23 is the most important number in conspiracy lore. November 23, 1963 was the day between the Kennedy and Oswald assassinations. There are 23 axioms in Euclid’s geometry. There are 23 chromosomes on human sperm and ova. Geosynchronous orbit is 23,000 miles up. Both the 23rd Hexagram in the I Ching and 23 in telegrapher’s code are variations on “break.” And of course, there’s always that most mysterious piece of slang: 23 skidoo. The wonderful part of 23 is that once you’ve been told about it, you’ll start seeing it everywhere. Which, of course, is the whole point. DE: What’s next? Can you see working with this character again? JR: I have just launched a kickstarter for my new project, which is the first book in an unorthodox urban fantasy series. After that, I will be releasing City of Devils in the fall, from the same publisher who did Mr Blank. This one is a mash-up of a noir detective story and a ‘50s creature feature. I can definitely see working with the character again. I write a lot of horror, so it’s fun to kick back and be funny for a change. Every conspiracy needs a guy like me. I do the scut work, the crap no one else wants to do. I don’t fly the black helicopters, I don’t mutilate any cattle, and I sure as hell don’t kill anybody. But if you need your lone nut’s gun conveniently lost, I can do that. If you need a witness to get a weird visit from someone who might or might not be from the government, I have a suit one size too small and some gray pancake makeup in my trunk. I can’t find the Ark of the Covenant, but if you need it FedExed somewhere, I’m your guy. If you need someone found, followed, called, hung up on, put in the dark, initiated, or just driven to the airport, I can do that, too. It’s these kinds of unglamorous errands that keep the shadow governments moving, and without guys like me, nothing would get done at all. Yeah, every conspiracy needs a guy like me. Problem is, they all have one. I’m a Rosicrucian, a Freemason, a Templar, and a Hospitaler. I have links to double-black agencies in the CIA, the ONI, the NSA, and the Secret Service. I’m connected to the Mexican Mafia, the Triad, the Cosa and Kosher Nostras. I’m an agent of the Vatican, the Servants of Shub-Internet, a Discordian, and an Assassin. I’m a Knight of the Sacred Chao, a Brother of the Magic Bullet, and an Illuminated Seer of Bavaria. I can find Symbionia, Thule, Shangri-La, and the entrance to the Hollow Earth on a map. I know who really killed both Kennedys, MLK, Marilyn Monroe, and Castro. Yeah, Castro’s dead—that double was doing a mean Tevye on the dinner theatre circuit when we found him. I’ve met Little Green Men, Atlanteans, and two of Oswald’s clones. I’ve seen Bigfoot’s W-2. The only thing I’ve never met is a vampire, because there’s no such thing, no matter what anyone says. I’m a member of these organizations, but I’m not high on the totem pole. I’m pretty much one step up from innocent bystander in all of them. Ever been to a fancy party? One of the really nice ones where waiters in crisp black and white wander around with trays of crab puffs and champagne flutes and there’s not a single red plastic cup to be seen. Think of one of the waiter’s faces. You can’t, can you? No one can. The human mind has finite space to use, and it’s going to ignore whatever it thinks it can, and that includes people who do menial work. Safer for the waiters, too—and no one at that party was planning to sacrifice them to some Elder God they just resurrected out of old computer parts. Anonymity is better than a bulletproof vest down in the information underground. Penny Estelle is My Guest! 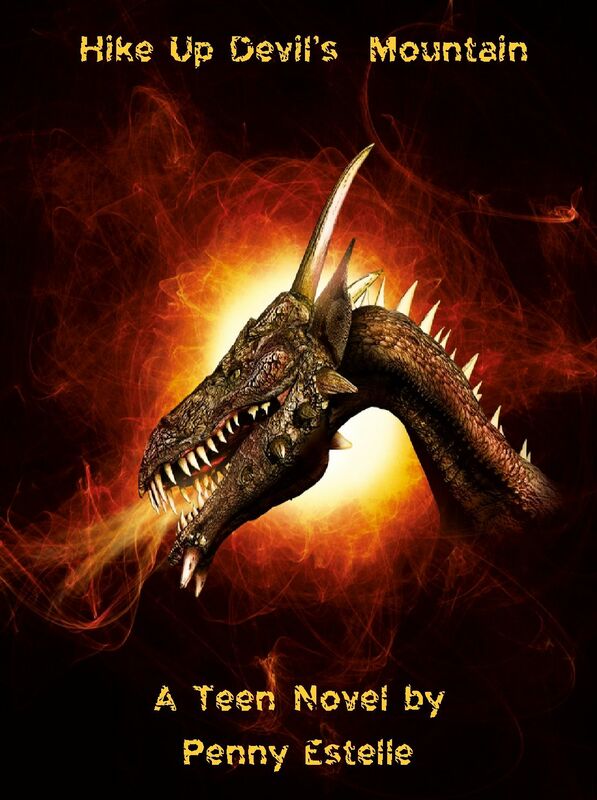 Penny Estelle is today’s guest, talking about her newest release, HIKE UP DEVIL’S MOUNTAIN. Welcome, Penny! Devon Ellington: What inspired this particular book? Penny Estelle: The truth is, my grandson was playing with a tiny, plastic toy dragon and it gave me a great ending for a story. I just had to come up with the beginning and middle parts! PE: I tell myself, EVERY DAY, I am going to write down a schedule and stick to it. What a joke, similar to my diets – LOL – but mostly I get up about 4 am everyday. I like to write then, before my hubby gets up and all I have to deal with is the dog and getting my coffee made. I try to write (on my projects) about 2 – 3 hours a day. DE: How did you start writing, and what made you decide that this was your calling? PE: HA – I am still trying to figure out if this is my calling. Long story short – I wrote a novel, historical romance, forty years ago and when I was done I sent out one query and got a polite, now way response. I put it in a box and there it has stayed. I decided, after working in an elementary school for 20 years, I would try writing for kids when I retired. That’s what I did, and Hike Up Devil’s Mountain was picked up right away. I’m sure you know the feeling when you get the letter that a publishing company actually wants to publish your story. I was thrilled when I got that letter from Solstice Publishing. DE: Do you read in the genre in which you’re writing at the moment, or do you need to read in a genre completely different? PE: I never read stories for the MG/tweens age group, until recently. I have now met many authors who write in that genre and they do a fabulous job. Mostly, I read adult stories, that is, when I can actually sit down and read! DE: What are you working on right now? PE: I actually pulled out the historical romance I wrote those many years ago and I have decided to revamp that story. It was such pathetic writing – LOL. I am giving myself another shot at it. Devon, thank you so much for letting me stop by to visit with you and your readers. I would like to offer a PDF copy of Hike Up Devil’s Mountain to one of the commenters. DE: So — leave a comment, and the winner will be chosen on Friday! Hi everybody! My name is Penny Estelle. 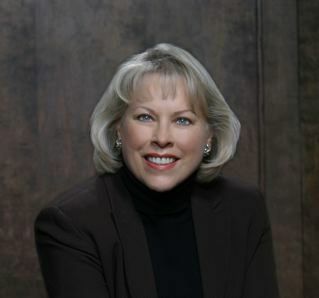 I was a school secretary for 21 years and retired in 2009. We moved to our retirement home in Kingman, AZ, and we live on 54 acres in a very rural area. Actually we live “off the grid”. We live on solar and wind. A real adjustment for a city girl. I must say – I love it. Nothing like walking out your front door and hear coyotes howling in the distance and seeing a sky bursting with stars. It is breathtaking! I started writing for kids right before I retired. There is always material when kids are involved. I am pleased to say I have several middle grade/tween books out and my debut book for adults was just recently released. I also have a non-fiction story out about our life with solar. Please take a minute and stop by www.pennystales.com. I love it when I get visitors! What do you get when one ten-year old boy breaks into the basement of an old abandoned house, that is to be demolished the next day, and finds a mysterious glowing stick? Now add the school bully and his ten-year old brother who also find their way to that basement. The bully wants that stick! A fight ensues and that bully is now a toad. What you get is a whirlwind adventure of two boys and a toad that have to hike up Devil’s Mountain to find the only person who can help them. The dangers they meet along the way will keep you turning those pages to find out what happens next! There is a surprise ending you just don’t see coming! Author devonellingtonPosted on April 16, 2013 April 15, 2013 Categories Uncategorized6 Comments on Penny Estelle is My Guest! 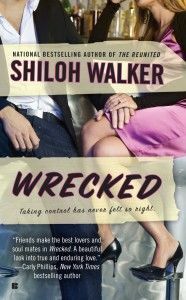 WRECKED released on April 2 as a Berkley Sensational Original Paperback. $7.99 in the US, ISBN: 978-0-425-26445-4. 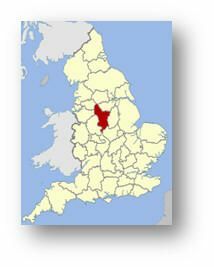 On June 9, 1817, a group of village men from Pentrich in Derbyshire, England rose up in rebellion against the Crown. It was dubbed “the Last Revolution in England,” though it might have more accurately been called a government-inspired provocation to action, designed to justify repression. Why did the villages fight “against the wind” that was the power of England? After the war with France ended in 1814, England suffered from great social, economic and political problems. Many of the major issues were the direct result of the war, but others were the necessary product of the changes occurring throughout society, some of which had begun earlier. The discontent that these occurrences brought, and the distress in the lives of the working people, culminated in the series of events that occurred between 1811-1819, including the Pentrich Rebellion in 1817, which is the backdrop for my historical romance novel, Against the Wind. The uprising in the Midlands in 1817 was just what the leaders of the British government needed to justify sending a strong signal to the masses that no rebellion, such as occurred in the French Revolution, would be tolerated in England. The hundreds of villagers who rose up with the pikes and crude weapons were ignorant of the true facts—that the government itself had stirred their rebellion. The year began with a rally held in London in January, perhaps inspired by the political clubs that advocated the vote for all men. The mood of the masses was rebellious and ended with stones thrown at the Prince Regent’s carriage as he left Parliament. While the Prince wasn’t harmed, with memories of the French Revolution still vivid in their minds, and the political clubs becoming more and more popular, especially in the Midlands and the North, the House of Lords adopted a spate of laws designed to control the stirrings of rebellion, including the suspension of Habeas Corpus, and the infamous Gagging Acts. All public meetings were forbidden, except under license from local magistrates. Pubs and coffee houses, as especially notorious places for radical gatherings, were covered by the Acts, as were all public places. Sedition, that is to say opposition to the government, whether by speech or written word, was severely punished. In March, there was a protest by thousands of depressed Manchester workers. With a view to descending on London to petition the Prince Regent to do something to relieve their economic depression, they marched peacefully carrying blankets to sleep in. Thus, it became known as the March of the Blanketeers. It rained violently on the day the march began. As five hundred of the men marched towards Derby, they found the Hanging Bridge over the River Dove at Ashbourne occupied by masses of troops who were expecting an army of 30,000 rebels. Most of the Blanketeers were turned away, but twenty-five were arrested. Only a few got to Derby and only one marcher reached London to present his petition. However, the Manchester expression of discontent served to keep alive the government’s fear of revolution. Concerned about the growing unrest, Lord Sidmouth, the Home Secretary sent spies throughout England, including the Midlands, to keep watch on the “centers of discontent.” Since these spies were informers paid by results, they quickly became agents provocateur, stirring rebellion where there was none so they would be paid. Among the spies was one William Richards, better known as William Oliver, or “Oliver the spy,” who incited open rebellion in the Midlands. He is one of the characters in my novel. Oliver traveled to Pentrich in Derbyshire, disguised as a depressed worker (he had previously been in Fleet Prison), encouraging the villagers to armed rebellion. He assured them there were thousands in London ready to join them in rising against the Crown. The villagers, in their ignorance, believed him. They were simple men who thought they were joining a great cause for democracy where every man would have a vote. They would soon learn they were wrong. At the same time that Oliver was making arrangements with the villagers for an armed march to air their discontent, he informed the local militia of the planned uprising, even giving them the date. Due to Oliver’s lies, the hundreds who marched on that rainy night in June had no idea they stood not a chance of accomplishing their objective. When the dawn came, the men faced a regiment of the King’s Own Dragoons and were soon scattered or captured. Notwithstanding the circumstances of the uprising and the involvement of the British government, the powers in London decided to make an example of the rebels. Forty-five men were tried for high treason by Special Commission. Three were hanged, including Jeremiah Brandreth, Isaac Ludlam and William Turner, the “ringleaders”—all characters in my novel. Fourteen were sentenced to transportation to Australia. In examining the causes for the uprising in the Midlands, one cannot discount that the people had been through much hardship, and by 1817, were hungry and tired of laws and taxes imposed by a nobility that had little understanding of their needs. We, who enjoy democracy, might say their desire to rise against such hardship was not unreasonable. My story begins in London where a young noblewoman flees a fate worse than death and runs unknowingly into the arms of a spy for the Crown.